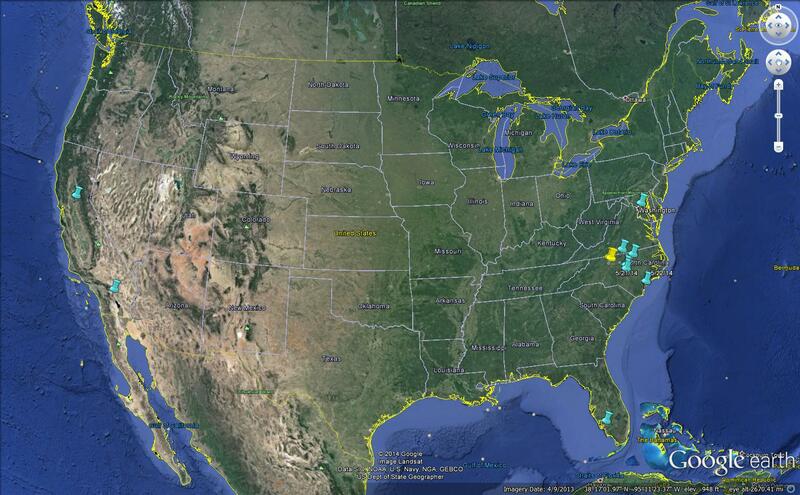 As you can see, the bulk of the activity so far has occurred on the east coast, specifically in my own state of NC. Now, I’ll admit that it’s hard to tell if that is because there really have been more swarms here than in any other state or because I’m here and talk about my project with a lot of people, so there are a lot of people out looking for swarms. It will be interesting to see what happens over the next month or so! Normally I’d expect to see more swarms in the Deep South, especially Florida, by now, but there’s just been one report from that part of the country. Interestingly, there have already been three reports made from California, which usually doesn’t get many swarms at all. I’ll be keeping and eye out on California this year to see if it’s a higher than average year there or not. The swarm season is just now getting started, so start looking out for swarms! If you see one, follow the link below to report it. It just takes a few moments, and every bit of data improves the story I’ll be able to tell once I start publishing all this. And, because this is my fifth year of data collection, I’m going to start publishing after this season. I hope it’s a great season! ← The Return of Friday 5! my dad had a blog called wowbanger wihich he has since deleted he talked about you blog a lot now he is clarinet passion dragon fly’s are cool.